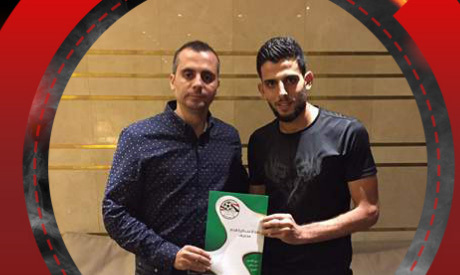 Egyptian champions Ahly have officially signed Syrian defender Abdullah El-Shami on a three-year contract, the Cairo giants announced on Monday. The 23-year-old player will be joining the Reds on a free transfer after recently parting ways with his Lebanese club Al-Safa' SC. "El-Shami passed the medical scans he underwent in Lebanon successfully and then he signed the contract," Ahly revealed in a statement via its official website. "The player is supposed to arrive in Cairo once he gets the visa," the statement added. El-Shami, who previously played for Lebanese club Al-Taleiah before joining Al-Safa, is meant to be a replacement for Egypt's defender Ahmed Hegazi, who left Ahly for English Premier League side West Bromwich Albion earlier this summer. Under the guidance of Egyptian coach Hossam El-Badry, Ahly completed the domestic double this season after winning the League and Cup titles respectively.